Humans need social interactions, so when you have a get-together with friends and family, it’s more than just fun. Yes, brunch with girlfriends and Friday night dinners with the family can be awesome, but have you ever considered that there could be other benefits. 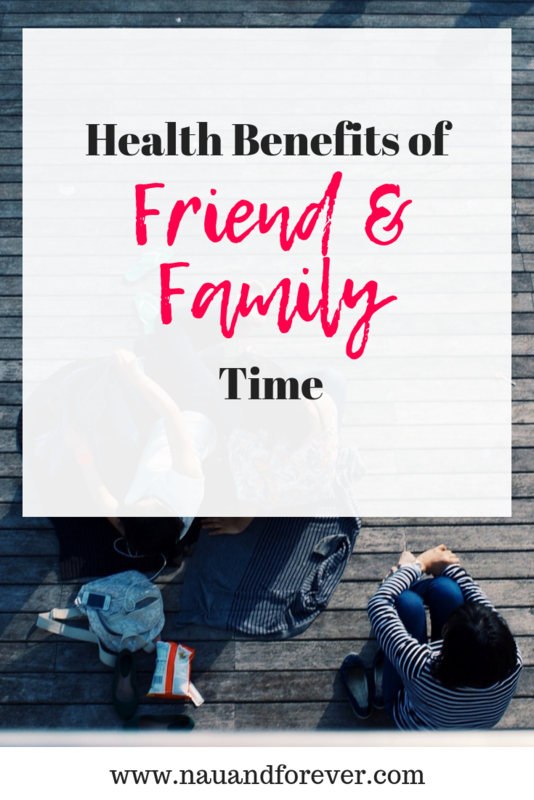 Check out some great health benefits to having quality time with the ones you love! Stress can create all sorts of health problems, including high blood pressure, headaches and migraines, heart diseases and is blamed for some cancers. People use many different ways to relieve the stress in their lives, but a study from the American Psychological Association estimated that 36% of Americans use confiding in friends and family as the biggest stress reliever of all. A nine-year study has shown that people with strong family ties are more likely to live longer. It also showed that even if they live an unhealthy lifestyle, bonds of family and friends see to have a positive effect on the length of their life. We all have milestones in our lives such as special birthdays, weddings, children being born and many others. It appears that people who have close ties to their family are far more likely to celebrate such events. They do this in all sorts of different ways, from hiring a venue to using a party bus from https://www.bergenlimo.com/fleet/new-jersey-nj/ , to having a simple dinner party at home to make their celebration special. If you do the same, celebrating as many occasions as you can, you will feel closer to the people you love, happier and less lonely. Initially, you may not like it when a family member or friends suggest you should eat healthier, something you can learn about at https://nutritiouslife.com/eat-empowered/how-to-eat-healthier/, get more exercise or stop smoking. However, you know they are doing this with your best interests at heart and you are more likely to adopt these positive choices with their support. A study at the University of Texas concluded that when you spend time with family and friends, it affects the way you behave and that good habits are often formed from these relationships. There are times in our lives when all of us feel a bit down, maybe undervalued and not loved by anyone. This lowers our self-esteem and can make us feel pretty worthless. However, spending time with family that you know love you, and with friends that have always been there, can boost your self-esteem no end as it makes you realize that you are an important person in someone’s life. They will always be there to congratulate you when you are successful and to let you know your worth when something does not work out. You will have a much more positive image of yourself with friends and family around you. It has been shown that better mental health results from face-to-face interaction with other people and that this is even more effective if those people are family and friends. Depression and anxiety are far less prevalent in people who have strong ties with others. Social media and texting are no substitute for a real live chat. No one should underestimate the good impact that friends and family have on our lives. We may not always agree on the same things, but you know they will always be there for you. So, pull out your calendar and schedule those get togethers today! Want more tips on improving your health? Check out more tips in this post! It can seem like our twenties are one never-ending party, a period in our lives when the future is still all ahead of us, a chance to make mistakes and, well, just wait for things to fall into place. By the time we’re thirty, however, this begins to change. We no longer have all the time in the world because we learn that we’re in charge of our lives. You need to become a little bit more serious. But what’s the best way to do this? Rather than change everything, it’s best to focus on a few areas of your life and dedicate your time to getting them in order. 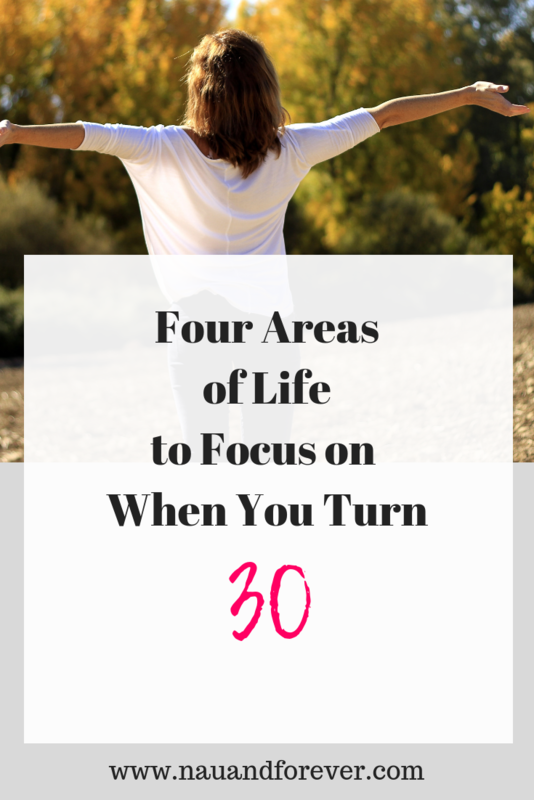 Check out four of the most important areas to focus on when you turn thirty. It’s easy to bounce from job to job during our twenties. We try a few different things, and slowly figure out what we like and don’t like. In some cases, we’re happy just to have a job that gives us the cash we need to make our other dreams come true. When we hit our thirties, however, it’s time to find a job that provides more than just a paycheck. We want to find work that stimulates us, work that we inherently enjoy. If you’re not currently in a position like that, look at topping up your qualifications and making a change. When we’re younger, it’s the number of our friends that’s important. Everyone can provide something different, and the more friends we have, the richer life. But that only works up to a point. Eventually, you’ll have a solid understanding of who you are and what you like. At which point, it’s time to focus on the quality of the friendships, not the quantity. It’s better to have five close friends who reflect your values rather than thirty half-friends. As we move into our late twenties and beyond, it becomes increasingly clear that we’re just not twenty-one anymore. We can’t stay out all night and then go to work feeling fresh. If we’re partying too much, then other areas of our life are going to suffer. As such, it’s worthwhile finding a way to leave the party scene and enter something more settled. Reading, cultural events, and the like will show you there’s more than nightclubs in this world. But it’s not always easy. If you’re finding it difficult to say goodbye to your party ways, looking at entering rehab for women, and get help. It’ll provide the right space and treatment you need to look to the future with optimism. By the time we’re thirty, we’re usually in a quasi-settled state. But that doesn’t mean that your fun, exciting days are over. If anything, life will get more exciting – providing you put effort into making it so. Make big plans for your thirties. You’ll have the confidence and cultural capital you need to grow and expand yourself into interesting new ways, whether that’s more nuanced traveling, motherhood, or anything else. I remember thinking that turning 30 was the beginning of the end. Dramatic? Of course, but I had no idea how incredible my 30s would be. When you turn thirty you should celebrate this exciting and new decade. Age, of course, is just a number.